Donor Management Software + Growth Tracks designed to help nonprofit organizations engage donors and raise more money. DonorPerfect Special Offer for iGiveHere Clients 20% off first year fees. Pursue your growth goals at your own pace by adding capabilities as you need them. DonorPerfect’s network of integrations and services help you transform growth plans into fundraising campaigns and big ideas into action. Expand your network and boost revenue. Turn one-time donors into lifetime supporters. Enhance the quality and value of your data. Make giving a main attraction. 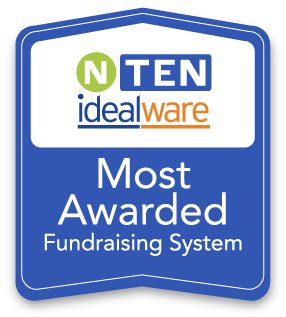 Be more efficient by working in a single, unified database that manages every aspect of your fundraising efforts. Collect, organize, share, and report on all of your data, including gifts and pledges, individual donors, and fundraising campaigns. 2. Expand your fundraising efforts as you grow. Just like your nonprofit, DonorPerfect is designed to grow. Add to your system on your own terms. Choose from integrations that include gift processing, wealth screening, peer-to-peer fundraising, and much more. 3. Automate time-consuming administrative tasks. As a development professional, you don’t have time to deal with manual processes and complicated software. That’s why DonorPerfect is built with an intuitive interface and automatic features like acknowledgements, scheduled reports, and custom alerts. 4. Transform data into a successful donor engagement strategy. Turn data into actionable information with custom reports that reveal the crucial stats, hidden trends, and metric-backed moves that you should be making more often. DonorPerfect’s Report Center places the most up-to-date information right at your fingertips. 5. Be more than a client. Join a community. Upon purchasing DonorPerfect, you’re invited to learn and interact with our staff members and other users in DonorPerfect Communities. Get the latest nonprofit news, discuss giving trends, ask questions, and discover best practices. See why 50,000 fundraisers trust DonorPerfect.